Welcome to my virtual dollhouse! If you'd like to see more photos or interact with us, you may request to join my Facebook group. It's much easier for me to load them there with one click. Click on a photo to visit the page! Or use the menu at top of this site. Rescues ~ Dolls I restore. 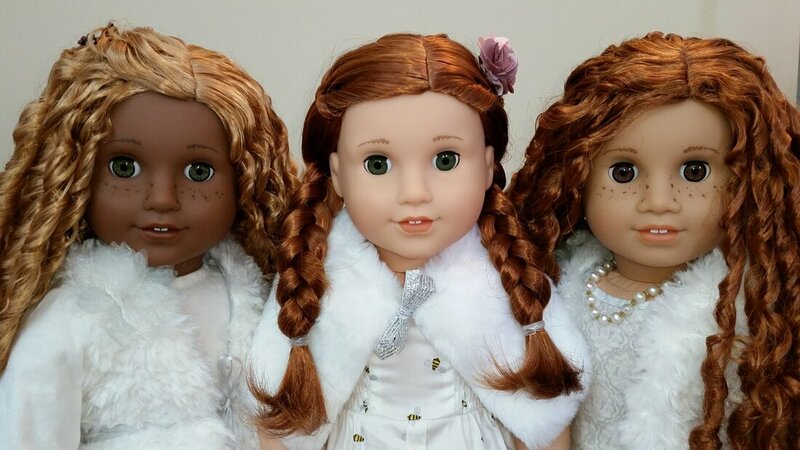 These girls arrived with issues such as dangling limbs, beyond repair hair or simply super dirty and neglected with stains, smells and scuffs. They are clean, happy and loved once again! Click image below to visit the videos page. Click image below to visit the Kickin' It page. Click image below to visit the Faces page.